Support your super-pup with Barkworthies’ Rabbit Jerky with Apple & Kale Dog Treats! These all natural chews are brimming with protein to help support healthy muscle growth and development. 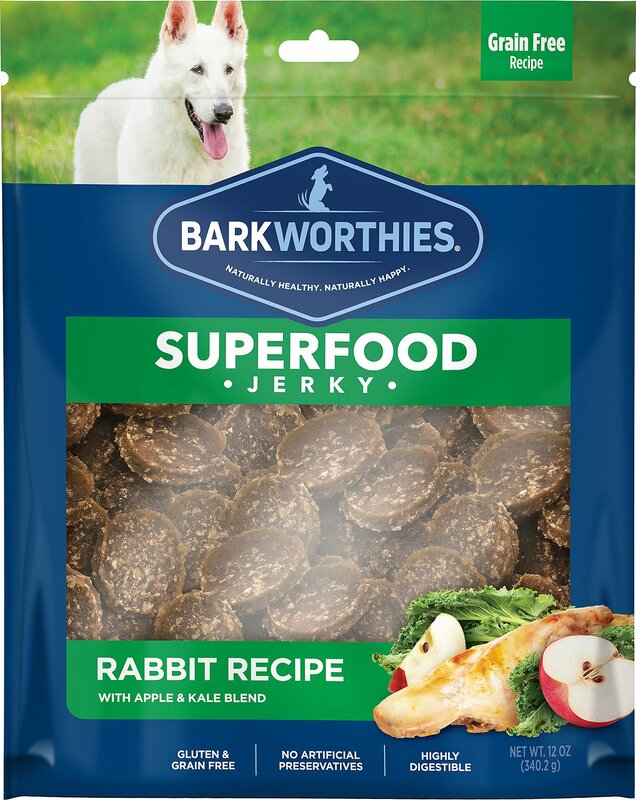 Made with real rabbit, anti-inflammatory boosting apple and high-fiber kale, this succulent jerky will have your pooch looking and feeling their furry best. Plus, each tasty bite is baked to perfection and bursting with savory aroma, texture and flavor. Give them to your pup for a job well done or as a way to support their immune system and overall health. Made with all natural ingredients for 100% digestibility and overall wellness. 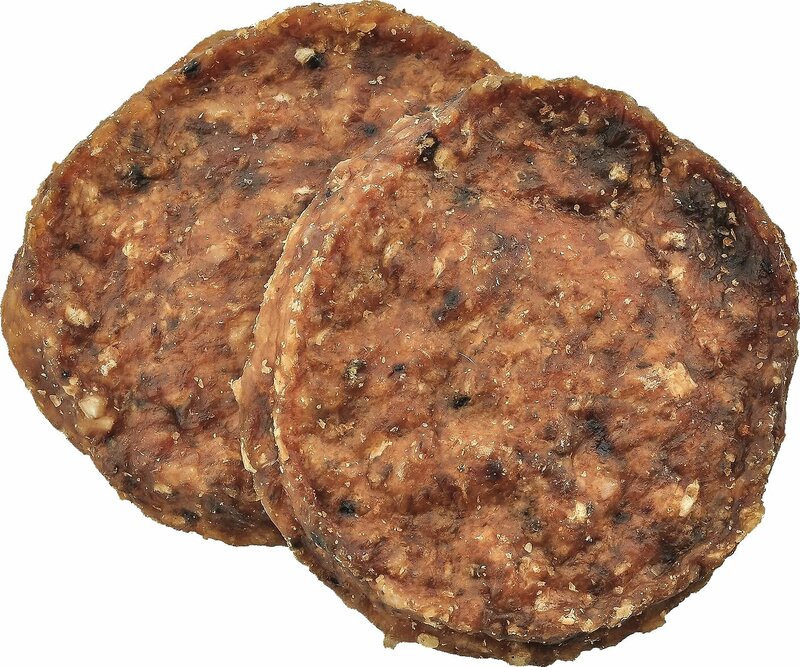 High protein meat treat is great for athletic dogs or dogs on limited ingredient diets. Rabbit, Apple, Kale, Pea Protein, Vegetable Glycerin, Zinc Proteinate. 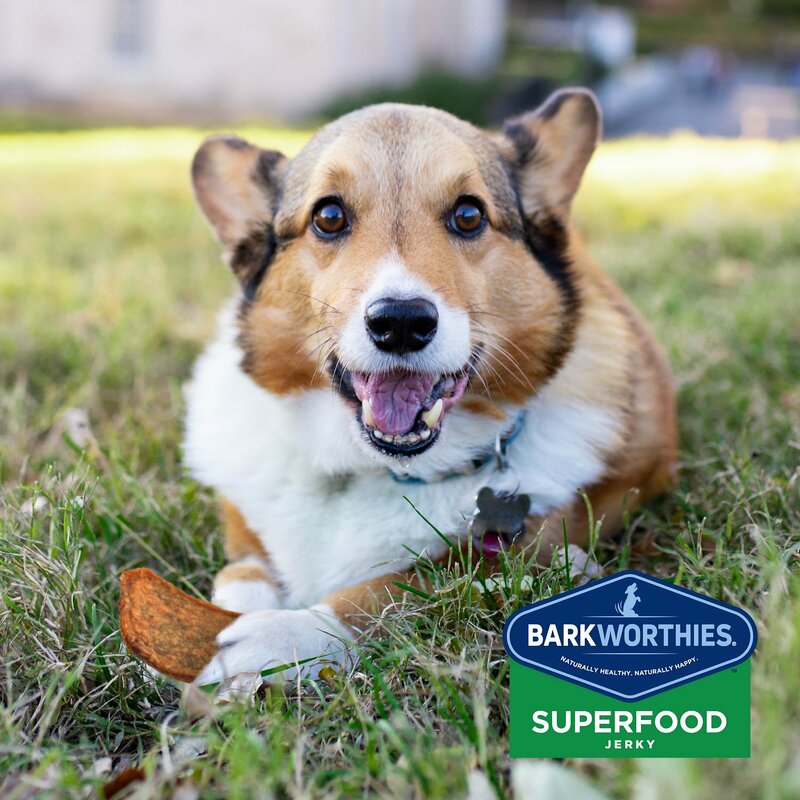 Barkworthies treats are intended for intermittent feeding only. I do a lot of training with my dog and these treats are perfect to break into smaller pieces while we’re working on new tricks and commands. I definitely have his undivided attention while holding them in my hand. My girl loves these. She’s prone to ear problems, and we are careful with treats. These rock! I bought these on a recommendation from a friend and was very happy with this product. My dog Rico just loved them and they are great for treats you carry in your pocket when you and your dog are out for the day. My dog loves rabbit, and he appears to enjoy these treats. 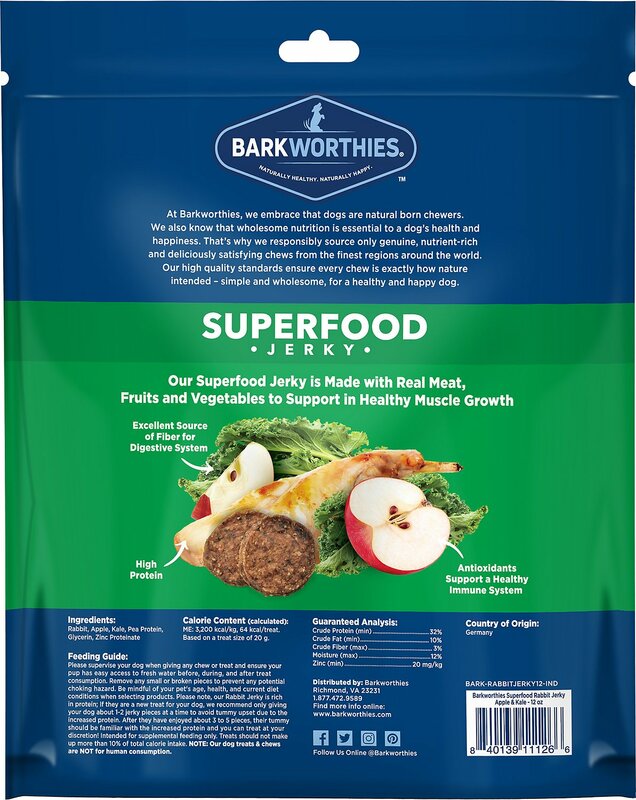 These jerky treats are moister than I expected, which has worked out great. They don't break up or crumble. This means I have the option of giving him the whole treat or cutting it up into smaller bites for training. My dogs will pretty much eat any treat. But due to allergies I got these. But I must say they go NUTS when they hear me opening the bag. I’ve never seen them so crazy about any other treats like these. My Standard Poodle really likes these and he can be on the picky side. They are much more orange/brown than in the picture- not that it matters, just something to note. Seems like a fair price for the bag and quality ingredients. We like the break them up and hide them around the house when we leave. I have a chocolate mini dachshund and she weights 8 pounds. She became diabetic when she was 10 and I had to put her on insulin and as soon as I did that she became blind. When she turned 10 she could no longer have treats because they started to effect her. I then started making phone calls and they all answered no we don't. I then called my Chewy and the lady that answered the phone said could you hold and I will do some checking for you. She came back and said they did and showed me the product. They have always been my favorite go to for all my pups needs. Our dog loves these! I haven't been able to find a treat with rabbit until these and he has food allergies so this is a perfect treat!